Details about the Too Much, Too Soon campaign can be found HERE – over the next few days updates from the Day of Action will be added. This is my personal recall of the day – of course others will recall things differently depending on what they did, who they spoke to and their personal opinion. Unfortunately, my train was delayed and I did not get to London as early as I wanted to – but just before 11am I was stood outside Westminster tube station waiting to meet up with childminding colleagues. The first to arrive was Lisa , followed shortly afterwards by Wendy and her daughter Rosie. Rosie very kindly went and fetched me a much needed coffee. We then went in search of Richmond Terrace which was the pre arranged meeting place – a bit difficult to find as there was not a sign! However after looking at the map, and walking up and down the road we found what we thought was Richmond Terrace – and indeed someone else thought it was too – as there we found Dr. Richard House. After introductions, I chatted to Richard about the forthcoming conference in Winchester. I received a call from Sarah Edwards, who is the volunteer officer for Pacey – passing on the contact details of her colleague Cordia Lewis. 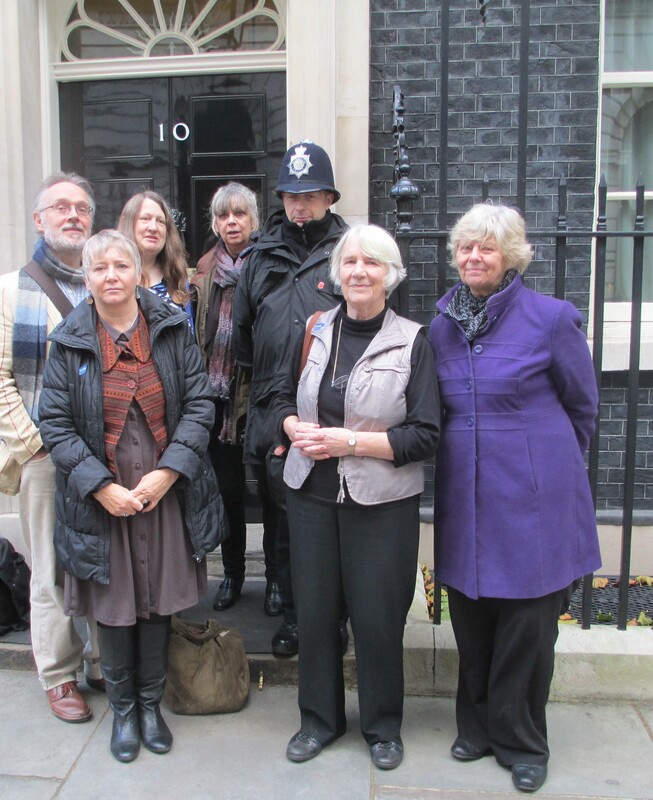 I contacted Cordia and we arranged to meet later on in the House of Commons, as Cordia was going to attend the Parliamentary Lobby to represent Pacey’s CEO Liz Bayram. After a while we realise that we were not in the right place! So walked to the end of the road where we found our campaigning colleagues, on the pavement right opposite to the entrance to Downing Street. It was there that we met up with another childminding colleague Vicky and her partner. For me the next hour or so was spent chatting to people that I communicate with via email and social media frequently, but who I had never met face to face before, including my fellow campaigners from Save Childhood Movement, and primary sector colleagues that I had met previously through my involvement with The Primary Charter . One thing that did surprise me was the number of people who came up to me and said ‘Are you Penny’ ‘I follow your blog / campaigning’ – it would seem that I am more well known that I thought. 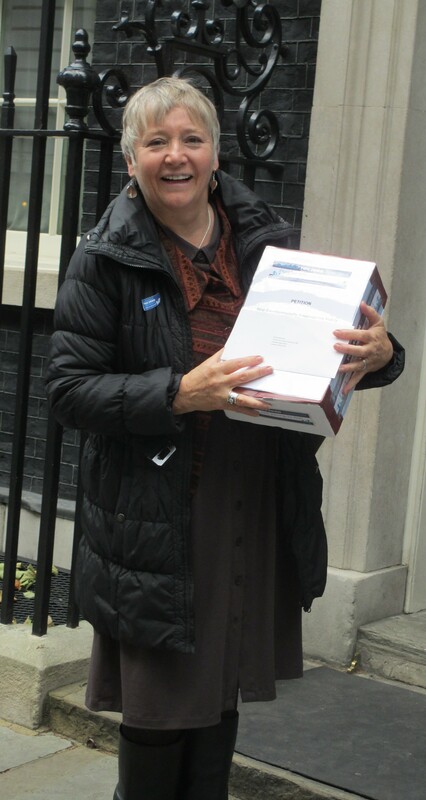 Next step was to go through the security ‘hut’ complete with bag scanner and people scanner – luckily we all passed the checks – including the box with the petition in – and then we were able to make our way to the famous front door of Number 10, Downing Street. It was all a little surreal – of course the street was very familiar as have seen it on the TV many times – but to be actually walking down the street and crossing the traffic free road was … well as I say surreal. 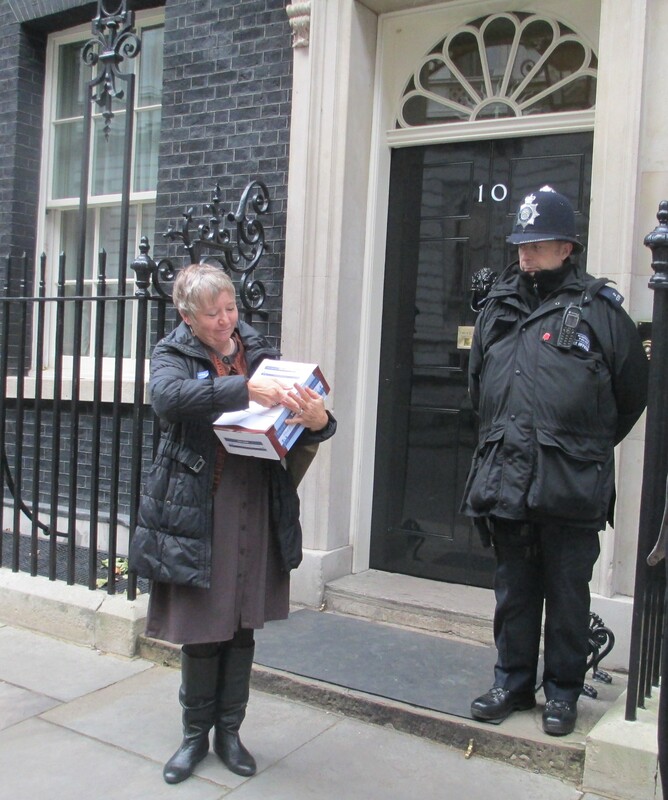 Wendy then knocked on the door, and when it was opened, handed the box with the petition and a letter to the Prime Minister to the gentleman who had opened the door. And then job done, we walked out of Downing Street to a resounding cheer and much waving of flags from the supporters still standing by the gates to Downing Street. For that brief moment in time I felt that I was personally making a difference through my own efforts, through joining together with colleagues of Save Childhood Movement – and of course with the support of all those who feel as strongly as I do, that at the very least our government need to listen to the early years sector and preferably to enter into full, and transparent consultation and debate being informed by those who provide childcare and education in this country, and those experts in the field who have realms of relevant research and evidence to inform any changes to policies and statutory frameworks. Lots of photo’s were then taken of the children who volunteered to hold the large banner – which to be honest was a relief to me as in the original plan the core team including me were supposed to lead the March holding the banner. The children did a brilliant job and those we passed smiled at them and gave way- so our route to the Houses of Parliament was fairly easy. We all gathered opposite the Houses of Parliament for group photo’s – personally I was a bit disappointed that the media had not put in an appearance – however there was an freelance photographer whoo took a lot of photo’s and I am sure these will make there way into the public arena in due course. I decided to take some more informal photo’s of the children – and yes I did remember to ask for permission from their parents. From there we all started to go our separate ways – I went into the House of Commons(with a few others) through the visitor entrance – but not without having my bag search – this time because my insulin pen caused concern – two of my colleagues also had their bags checked.Still better to be safe. We congregated in the cafe, and had a well deserved drink and something to eat – and use the toilet facilities (at least these were free unlike the ones in the city which were 30p / 50p to use. We had opportunity to have a chat about things that concern us in the world of childcare and education – and to find out a little bit more about those that we had met for the first time. However, Lisa did not join us straight away in committee room 5, because she had arrange to meet with her MP – Alan Whitehead. When I heard that Lisa had managed to secure this appointment – I had an idea – to ask Lisa to hand her MP the Stop. Listen, Consult petition list of signatures and comments – and to ask Nursery World if they could do ‘something” to give it a bit of media coverage – which they did as can be seen HERE. Lisa did a fantastic job of explaining about childminding agencies to her MP and why all the childminding organisations (Pacey, UKCMA, ICM-SE and The Pre school Learning Alliance) and thousands of childminders are against the proposal, that Alan has suggested that Lisa organises a meeting in Southampton for colleagues and that he will attend. The Parliamentary Lobby started with a welcome and introduction by Annette Brooke MP who has been very supportive of the current campaign and all the various associated campaigns over many years. When Annette spoke it was with a deep rooted passion and knowledge – something which I have not encountered much of in relation to the campaign from other government ministers or officials, from those who agree or disagree with my opinion. Next to speak was Wendy Ellyatt in her role as CEO of Save Childhood Movement – and the driving force behind the campaign, the website and the planning (and doing) of the Day of Action. Wendy gave a rousing speech – which I won’t relay here as I know Wendy is going to put it on the website in the next day or two. For this same reason – I am not going to report on the content of others speeches / presentations as I think it is better if you read the official feedback / actual notes / presentations. However, I will tell you that after Wendy Ellyatt, Dr. Richard House spoke – and to my surprise he mentioned me by name and gave me credit for starting the first ratio petition – which I did – and having the strength of character to stand up and voice the concerns of many. After Richard House, Wendy Scott spoke about the aims of the campaign and linked them to her personal experiences. We then listened to two excellent presentations – one by Dr. David Whitebread and one by Dr.Terry Wrigley – who were both speakers that explained the why’s and the hows of current education policies and those in the pipeline – plus a reflection on past polices – without giving away the content of the presentations – there was one question that struck a cord with me ‘Did the children of previous generations have a better or a worse education?’ From a personal perspective looking back on my own early years experiences I would say I had a better education AND a relatively stress free childhood, which ensured the foundations of learning were securely built, and when I look at the experiences my grandchildren are having I would say that not only are their educational experiences different, they are too broad, not focussed on the foundations of learning and extremely stressful a lot of the time. To round off the Parliamentary Lobby, there was a short general discussion with questions posed and answered – the most important of which was how to ensure parents are made aware of the proposed changes and what actually takes place in schools – and more importantly how to inform parents about the value of play based experiences and activities – and that delaying formal schooling is not about delaying educational experiences – and that educational experiences are not just about learning to read and write at a ever increasing younger age. The day finished with a meal in a pub and a debrief / planning next steps – before everyone headed home. In my case a long journey made longer by problems with the train and trespassers on the track. I finished part one of this blog with a comment from Elizabeth Truss that I had not heard mentioned before – based on the fact that childminding agencies could select which childminders joined the agency. How they will encourage people like me who have successful, established childminding settings to join? What they will do to ensure that those entering the profession are going to provide this high quality childminding practice? What they will do if a childminder ‘on their books’ does not maintain that high quality practice? How they will assess those who switch agencies and do not have a Ofsted grade because never been inspected by Ofsted – so only have another agencies judgment about their practice? I can’t help wondering how the practice of selecting childminders who have the highest quality practice will achieve the Governments aims of driving up quality and supporting those childminders who find paperwork difficult or time consuming, or even recruiting new childminders whose practice can at best only be described as ‘having potential’. In my opinion – the majority of people who find paperwork difficult or too time consuming to keep up to date – are the people who will have lower grades currently from Ofsted – because they do not fully meet the requirements of EYFS. A chicken and egg situation maybe? These childminders might want support but because of their Ofsted grade the agency may not want them in the agency. However to be fair to the Minister – she did say that they agency would look at the Ofsted report of someone who currently has a lower grade to see why, and to decided if they would be able to support this person to improve their grade. Question then has to be – what will be the incentive for the childminder to remain in the agency – once they have had the support? This raises further questions in my head – about retaining Ofsted individual inspections. I asked the Minister if childminders could chose to pay Ofsted and remain inspected by Ofsted – as well as joining an agency for support. As readers will know from part one of this blog the Minister does not see any point in childminders in an agency also being inspected by Ofsted as agencies are a new work of working and the agency will quality assure the agency childminders. I have a different view about this – you see much of my work – especially during my time working for the Local Authority has been around the area of quality assurance – I used to assess for a couple of the national quality assurance schemes – across all settings, and my role as a childminding network coordinator was also a quality assurance scheme – as is ECCERS (and the related schemes). The one thing all these quality assurance schemes had in common was (is) that they are in ADDITION to Ofsted inspection – and I know from experience that in the best settings, the Ofsted judgement and the quality assurance scheme assessment judgments will be very similar – which is great and reassuring for practitioners and parents. However in those settings where judgments made are not similar- clearly something needs checking as either judgment (Ofsted or Quality assurance) may need to be looked at again – as part of their own QA system – and so it is a self checking system on each others judgments. I would ague that in all settings this is good practice – and certainly something which has been encouraged over many years. So why would it be an issue if agency childminders wanted to remain registered with Ofsted? Personally – whereas I will NEVER join a childminding agency if I have to give up my individual Ofsted inspection and grade – I might be interested in joining an agency (subject to cost) to access training / support – and indeed a second opinion about the quality of my setting. Therefore from a business point of view, from a quality assurance point of view AND most importantly from a consistency of across all settings of bench marking by Ofsted – I would think it would not only be possible but essential for childminders who join a childminding agency to also be inspected and graded by Ofsted. 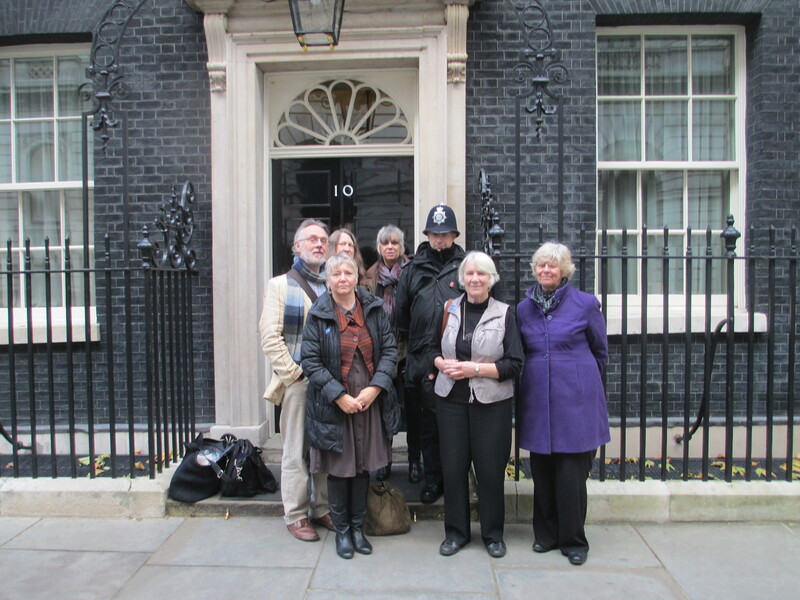 So getting back to meeting – I am conscious that so far it appears that only myself and the Minister were involved in the discussion – but of course David Ward MP and Jane and Lynda from UKCMA were also taking part in the conversation. Jane raised a very important issue – that of the view of parents – Jane is a parent of young children and she does use a registered childminder. Jane said she would prefer an Ofsted judgment rather than an agency judgment on her childminder, as it is a judgment based on national criteria and by a national body. The Minister said that childminding agencies would have to ensure the quality of the childminders in the agency and would be subject to Ofsted inspection as an agency – and that as said before, Ofsted would visit some of the agency childminders. Surely, said the Minister,that at least 2 checks a year by agency staff would be better than one visit every 3 – 4 years by Ofsted? Jane agreed that Ofsted inspections were not frequent enough but that the public and in particular parents had confidence in Ofsted. (It was acknowledged in the room that despite current concerns about Ofsted by the sector – than Ofsted is a well known and respected national body). Picking up on the Ministers comments (again use of italics to show personal comment after the meeting) At least two visits a year were mentioned which I find interesting as at first we were told ‘frequent visits’ – and indeed some of the pilot information has suggested as many visits as one a month or one every half term – then I read at least three visits a year – and now the Minister is saying at least two visits a year – I wonder how long it will before we get statements on the line of ‘as and when needed’ or maybe ‘ appropriate intervals’ – and if this does become the reality of ‘ frequent checks’ – and maybe because of the financial reality of providing the ‘frequent checks’ – what will agencies use to ensure the quality of agency childminders – self filled in paperwork / tick lists maybe? Ofsted were mentioned by the Minister several times during the meeting – as Ofsted have yet to supply details of the inspection framework for childminding agencies and yet to supply details of how they will ensure quality not only of the agencies but of the childminders within the agencies. The other detail that the Minister is waiting for is will fees for Ofsted remain the same for those who wish to remain independently inspected – or will they go up – and if so by how much. The Minister agreed that these details are now key and that everyone needs to know for their business planning etc. I emphasise with the Minister as waiting for information from third parties is very frustrating – and something all of us who are waiting for details about childminding agencies can relate to. However – and readers may correct me, if I am wrong – but I thought Ofsted were a government funded body who had to implement frameworks set by the government – I remember well the discussions I had with Ofsted around the introduction of EYFS 12 – and being told – we do not set the framework – we have to implement it and say how we will do so. Maybe I misunderstood the Minister and she meant she was waiting for Ofsted to say how they would implement the framework rather than waiting for Ofsted to give details of the framework? If so I have to question why we (the sector) have not been involved with the process of working on the draft framework – as we were with EYF S 12? It seems to me that for such a huge change to systems and ways of being registered and inspected that the sector has not been involved, and that with evaluation of pilots starting from December 2013 and implementation / roll out of agencies from September 2014 , it would seem that agencies and the associated frameworks will be presented as a finished product. So that is part two finished – part three will look at parts of the meeting with the Minister that were about the pilots and the free entitlement to education places. As most people know I am a member of all the main organisations that represent childminders – and although my main organisation – and the one that I volunteer for is the Pre-school Learning Alliance, I am more than happy to attend meetings and support all the organisations in their challenging of childminding agencies. So when UKCMA asked me if I would attend a meeting with them on Wednesday 16th October to meet with our Early Years Minister – Elizabeth Truss – I was happy (if a little nervous at the prospect) to agree. After a successful meeting in the morning see Meeting with childminding organisations I traveled from Bromley, back into central London and onto Westminster. There I met Linda, Jane and Mike from UKCMA outside Portcullis House. Mike was not joining us for the meetings but would be joining us later for a debrief before we traveled home. Linda, Jane and myself then went into Portcullis House – a very grand modern building and in complete contrast to the historic Houses of Parliament. First though we had to go through the security checks – bags, coats, personal items into a tray to be scanned, then through the ‘person scanner’ and the individual check by the security staff – image my horror when the tray with my belongings in it – was diverted – having failed the scanning check! However the lady checking the bag said straight away – ‘most likely a spray in your bag’ – and indeed it was – because the bag I had with me also contained my overnight things – including my spray. Once this had been found and checked – I was able to re join Linda and Jane. First we met with David Ward MP and his researcher Andrew, We had a little look round while locating a place to sit and talk, which was a fantastic opportunity to see various parts of Portcullis House. We found a table downstairs, and Andrew kindly went and got us all a drink. David did a very good job of helping us think about what were the important issues that we wanted to discuss with the Minister – and in playing Devils Advocate – because of course it is important that we looked at things from the Ministers / Government prospective. We were so deep in conversation, that time flew by, and in what seemed like next to no time, we were heading off through the tunnel that links Portcullis House to the Houses of Parliament, through several corridors, past visitors and MP’s, to the room where the meeting was to take place. Now forget ‘office’ type room, or even cosy ‘lounge’ style room such as the one we met Lord Storey in – in June. This room was huge and very grand and quiet overwhelming – however a few chairs were being rearranged into a small circle – much less overwhelming. We were introduced to Elizabeth Truss’s researcher Sharon who works for the DfE and is involved in the childminding agencies – included the trails . While we were waiting for the Minister to arrive, we had a brief discussion with Sharon about the pilots. Before I start recalling the meeting with the Minister – I need to make it clear that this is my personal recall – others present may have a slightly different recall. Also as topics of conversation were returned to throughout the meeting, I am going to give my feedback per topic and not in time order as discussed. So first my overall impression of our Early Years Minister, she was smartly dressed, polite, smiles a lot, gives a warm handshake, and appears to be listening, with body language to match – ie nodding head etc. In fact a perfect professional politician image. I asked; Why childminders who want to join a childminding agency could not retain their individual Ofsted inspection. The Minister said; It was not really needed, as agencies are a new way of working, and that the agency would ensure the quality of the agency childminders. 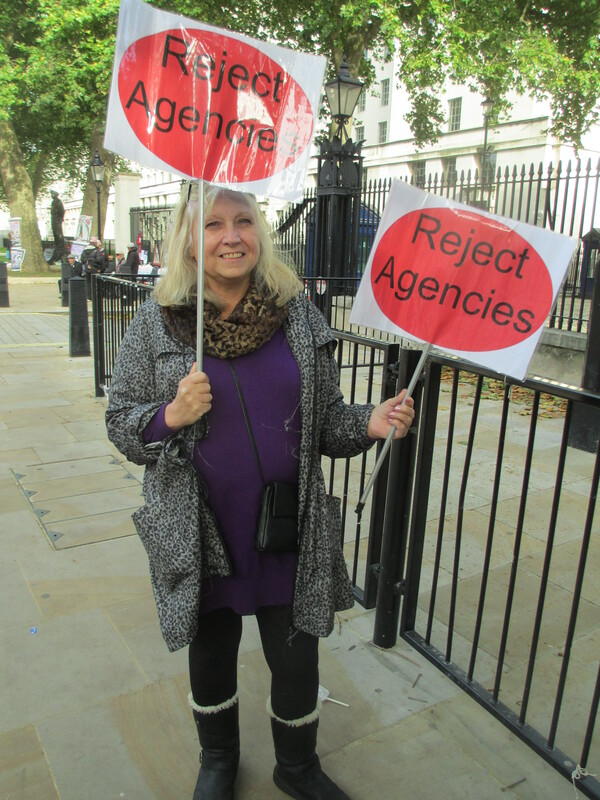 She went on to explain in great detail about the agency model, and stressed that existing childminders would have a choice about if they joined a agency or not. Maybe not needed as those in the room were fully aware of the basic facts, having read More Great Childcare numerous times – and everything that has has in the media. However we were very polite, and listened to the Ministers explanation. I asked if once the pilots had finished – if there could be a ‘honeymoon’ period (did not use those words) whereby agency childminders still had a Ofsted inspection so that quality assurance could be verified as working. She did not really answer this – but time had run out – so hopefully she will consider this suggestion over the next couple of days. My whole point about Ofsted inspections (which I tried to explain to the Minister) is about the need to have consistency across all early years settings – the Minister mentioned the similarity to a Nursery inspection – saying if practitioner B was not there on inspection day that his / her practice would not be inspected – and the same would apply for agency childminders not inspected in the sampling aspect of an agency inspection. Maybe I am missing the point – but to my mind – that is not the same scenario at all – in a nursery there are other staff to ensure overall quality is maintained, there are room leaders and managers whose job it is to check the every day practice – in a childminder setting there are none of those safeguards in place. In my opinion – it is’ownership’ of the setting and the practice within that setting that ensures that quality is not only maintained but improved (and managers of group settings have this responsibility and therefore ownership), Ofsted inspection just confirms that this is being achieved – and in doing so reinforces the ownership of the setting. In basic terms – you get out what you put in – take away that ownership of setting and practice, and what motivation is there to improve or even to maintain current levels of practice. The Minister did agree that outstanding / good childminders were unlikely to join a childminding agency as they were already established, and were self sufficient in their business practice. So I responded with – so the agency will only have childminders with lower grades/ standards of practice – to which she said something that I had not picked up on before – and to be frank I was very surprised to hear. The Minister said – No not necessarily – agencies could decide NOT to take on childminders who did not have a higher enough grade, or who might damage the reputation of the agency – as the agencies needed to have a good reputation for providing high quality childminders to parents – and that their business success would depend on this. My thoughts about this are – well, just who will join the agencies – and how will they be viable and successful? The Minister said – No not necessarily – agencies could decide NOT to take on childminders who did not have a higher enough grade, or who might damage the reputation of the agency – as the agencies needed to have a good reputation for providing high quality childminders to parents – and that their business success would also depend on this. Part two to follow as soon as possible. 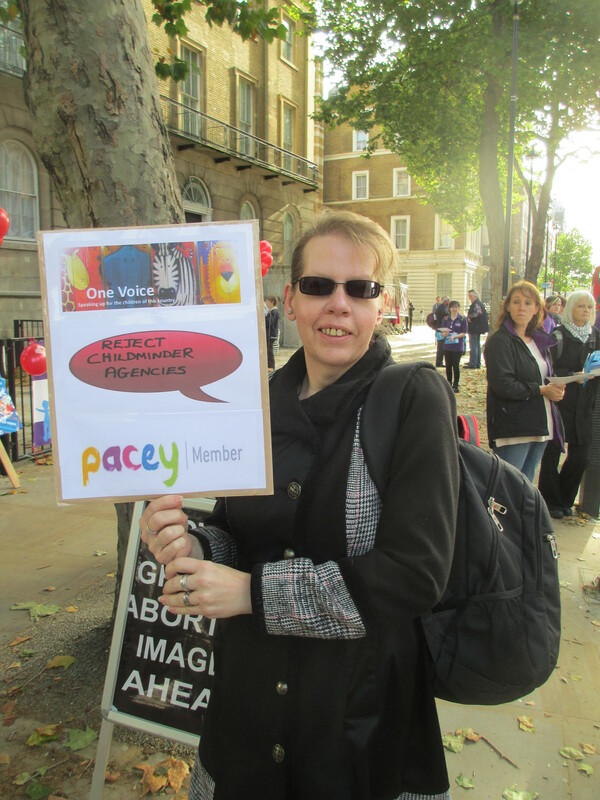 At my suggestion a meeting was held on 16th October 2013, kindly hosted by Pacey,and attended by Pacey, Pre – School Learning Alliance, Laura Henry (representing NEYTCO), and me, Penny Webb (representing myself – and as requested – ICM-SE and UKCMA). I had called the meeting, wearing my hat as lead for the Childminding Advisory Group within Save Childhood Movement – and as a member of all the above organisations. As regular readers of this blog will know, I have been campaigning against childminding agencies since the idea was first put forward by Ms.Truss in her paper ‘Affordable Quality’ – and overtime I have felt increasingly that I was not only talking to the wall, but banging my head against it as well. At times I have felt rather alone in my efforts – as although colleagues and childminding organisations have all been vocal in their own objections – as a sector we tended to speak just for ourselves – and not as a sector wide voice. And so on the morning of 16th October I found myself sat in the reception of the offices of Pacey. I was a bit early but I prefer to be early if at all possible. While I was waiting, Sarah Edwards who is Pacey’s volunteer officer, and who I know, came down from her office to say ‘Hello’. Then Emma – Liz Bayram’s (CEO Pacey) PA appeared – complete with drinks trolley, and showed me into a meeting room..
Before long, Neil Leitch, CEO of the Pre – School Learning Alliance arrived and greeted me warmly. We spent a few minutes updating on Alliance and personal issues, and then Emma decided that there was a problem with the lights in the room – and showed us into other room. Laura Henry was next to arrive, I had invited Laura to represent the trainers and consultants from NEYTCO – which is a group that Laura has recently set up. Laura is well known to both Neil and myself – so hugs all round and personal greetings. Liz Bayram, and a new member of Pacey staff – Oscar Plummer, joined us and after introductions, pouring of drinks and some general chat – Liz said something on the lines of ‘over to you Penny’. I thought this was a very positive recognition of my role – and ensured that we got off on the right foot. I explained briefly why I thought we needed to work in partnership, and to speak as a sector instead of as separate organisations. We explored our current personal and organisational knowledge of agencies and our personal thoughts about them. Readers should be reassured that all the organisations that represent childminders are being VERY active both publicly and ‘behind the scenes’ in challenging the Government. There are lots of meetings happening that childminders are being represented at – but that we (including me) do not hear about, because they are part of the on going process of exploring of issues – with various people, that do not have a specific outcome but that could (hopefully) lead to better understanding of the issues of quality assurance around childminding agencies – and thus help to inform those making the decisions about implementation of childminding agencies. Personally I think we all have to have faith in our membership organisations and trust them to represent us, using their knowledge and experience about how things work within Government and associated departments. I know it can be difficult when it appears ‘nothing much is happening’ – but from my conversations at the meeting – believe me – there is a lot happening. After our discussion about the current situation, we all agreed that childminding agencies would be introduced (which is the same conclusion most childminders have come to) and that therefore we had to think about how we could; a) continue to challenge the proposal that agency childminders will not have an individual Ofsted inspection – and b) what they could do – as the organisations representing and supporting childminders – to provide a realistic alternative to the agency model in terms of information, support, and training. Everyone agreed (including those not at the meeting via their emails to me) that we all need to work together to speak as a sector, and to ensure that childminders who want to remain independently registered and inspected by Ofsted had the support to do so. I am not going to even attempt to record everything that was said in the meeting – and it would be inappropriate to do so, as some of the discussions were confidential (for appropriate reasons) and somethings were agreed to in principle rather than in detail. Therefore this is a summary of the things agreed to. The main points to be included in an ‘Open Letter’ – Oscar (from Pacey) will be drafting the letter , from his notes made in the meeting and sending it to all those involved for approval. It was also agreed that although we would like to get many more signatures (including those of childminders) for the letter, that time was against us, due to the fact that the House of Lords are currently discussing the Children and Families Bill. Therefore the signatures on the letter would be representing all the members of all the organisations. To explore ways in which everyone could work together to support independent childminders, once childminding agencies were rolled out (and in the run up to that point in time). Please note we did start exploring this issue and suggestions passed on to me by childminders were shared in the meeting – however this discussion was limited by time restraints – but will be continued in future meetings / discussions. I think it is safe to say that all the organisations were very keen to pool resources and expertise to benefit all childminders who wish to be independent. To explore how to make parents aware of the quality assurance issues – and the choices they will have – in other words to provide information and support to parents. To explore how peer support could be developed to ensure childminders were kept informed through cascading of information, how expertise of experienced childminders could be used to support the work of the organisations, including training, mentoring etc. As you can see we covered a lot of ground and that the meeting was very positive and proactive – I am personally very hopeful that we have taken the first steps towards being able to speak with a united sector voice – and to working in partnership across all organisations that represent and support childminders to ensure that childminders have the best possible access to support, training and advice – giving a real choice both to establish childminders and those entering the profession. I would personally like to thank Pre-School Learning Alliance, Pacey, UKCMA and ICM-SE for supporting the meeting and for agreeing to work in partnership with each other to benefit the childminders they represent, and to thank Laura for representing the trainers and consultants within NEYTCO. I would like to reassure childminders that this partnership is not about the organisations all joining together to become one big organisation – as that would not be in anyone’s interest – and we all agreed that choice of representative organisation was very important, and that the ‘market’ was big enough for all to be sustainable, for all to develop their own specific membership packages that would therefore meet the different needs of childminders. Finally, as I am what might be called ‘just’ a member of the organisations involved, and a everyday practicing childminder (all be it – a rather outspoken one) I must congratulate all concerned from demonstrating that they do listen to their members and take their opinion and ideas on board – and are prepared to take forward those ideas, if in the best interests of their membership and the childminding sector – not always of course – as some ideas are not practical, or do not fit in with the organisations own operational plan or ethos, values and practice. However, as a great believer in membership organisations and voluntary involvement, I am grateful that they do all listen, do always consider ideas – and even if as members we feel that we have not been listened to, and that our ideas are not always explored – that there will be a reason why not, I think it is important to continue to put forward our our ideas and suggestions – and if it is something we feel strongly about – we should not only get on our soap box, but be proactive in resolving issues and reaching compromises, as just shouting about something from a soap box or just moaning to colleagues will not achieve anything – far better to be part of the process and therefore the solution. The opportunity to ask the Early Years Minister some questions was an opportunity not to be missed, and I would personally like to thank Nursery World for organising this opportunity. There are a wide range of very good questions, seeking clarification from Ms.Truss – who after all should be the ideal person to provide the answers. Childminders are being encouraged to accept early years funding for 2, 3 and 4 years olds and the hourly rate paid to childminders is £3.91 in my area. The average hourly rate in my area is between £5-£6 per hour and as we are pretty busy why would childminders offer to accept funding? Will the hourly rate be increased in line with the rate of pay of childminders and if not why would the government think that childminders will agree to offer it? 1) As childminders hourly rates are higher than the rate paid for early years funding – why would childminders want to offer to offer it – and make a loss? 2) Could the Minister confirm if the hourly rate paid for early years will be increased so is the similar to the hourly rates normally charged to parents? We are taking steps to simplify funding to make sure more of it gets to the frontline and more early years places can be provided. We are also collecting data on the rates that each local authority pays to its providers and will publish further information in the autumn. In time, we want to move towards a national funding formula to remove regional disparities. We think childminders accepting early years funding is a good thing – previously they may have had to take the children in their care to a nursery to access the 15 hours. Currently fewer than 4,000 childminders access this funding. As a result of our reforms, up to 32,000 childminders are now eligible. It will now be easier for childminders to deliver these 15 hours as part of a full time place in their homes – which will be beneficial to them and the parents they provide childcare for. Well – it seems not. Ms. Truss seems to have missed the point – even if thousands more childminders are able to offer the early years funding- many won’t be able to afford to. You talked about making Funded Early Education accessible to all “good” and “outstanding” childcare settings, including childminders, and you even got published a statutory guidance document for the Local Authorities to follow from September 2013. Are you aware that there are still barriers being put up by a huge number of Local Authorities which have prevent thousands of childminders from being able to offer this Funded Early Education funding? My Local Authority is waiting for the law to change until they will even consider allowing childminders to access the funding. How do you propose to make sure Local Authorities remove these barriers. Again, rephrasing in my words – Stacey is stating facts – there are a number of LA’s who are applying additional criteria. Our guidance to local authorities is clear that all good and outstanding providers – including childminders – are automatically eligible for 2, 3 and 4-year-old funding. There is no requirement that childminders must be part of a network to receive funding. Local authorities must not depart from the guidance unless they have good reason to do so. Waiting until the law is changed is not an acceptable reason to refuse to allow good and outstanding childminders access to funding. If your local LA is putting up barriers then I would urge you to get in touch with me at ministers@education.gsi.gov.uk. Many of your recent proposals have been targeted at saving parents money. How do think Childminder Agencies are going to save parents money, when they are not receiving any government funds? Very good question from Ruth – and one that many people have been trying to work out – just how will agencies save parents money? Maybe the Minster will tell us the vital bit of information, that will then enable us to work out where these savings will come from. We know that for many parents, childminders are an absolutely essential part of childcare. They offer a home-based environment – which many parents prefer, particularly for very young children. They present an excellent, affordable option for parents. We want to see an increase in affordable childcare, and childminders are essential to this. But the current situation is disheartening. For too long policy has discriminated against childminders – and their numbers have plummeted as a result. The number of childminders has almost halved over the last 20 years. 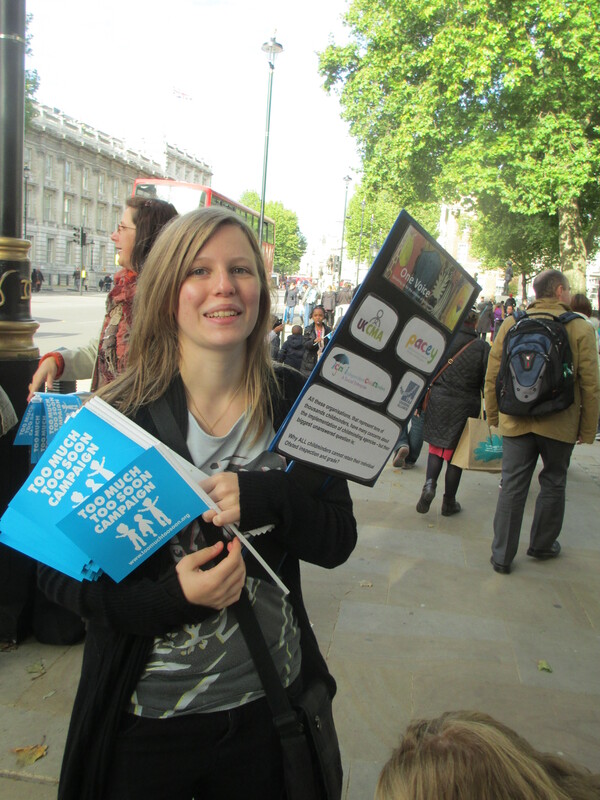 Currently fewer than 4,000 childminders access early education funding. Childcare is likely to be more affordable due to there being more childminders, which are an affordable option, not because of a reduction in rates. Childminder agencies will also reduce the administrative burdens faced by individual childminders, cut duplication, and will be cost effective, with the freedom to share resources. This will help drive down costs for parents. b) Childcare will be more affordable because their will be more childminders – again you do not need to join an agency if you want to become a childminder – so again it does not answer Ruth’s question. However – we know from information from meeting about the pilots around the country that prospective childminders are being included in the pilots and may – by default become part of the agency after the pilots are finished. So in a way – agencies may increase the number of new childminders – but only because they are not told that they could register in other ways without going through an agency. And you have to ask – will having to pay to go through the registration process through an agency, increase the number of applicants – personally I don’t think so – neither will it ensure that those applicants go on to be childminders in the long run. If a safeguarding issue arises from a child in the care of an Agency Childminder who has not been inspected by Ofsted, will you feel responsible for this? My understanding of Ruth’s question is – if there are other people making judgments about the suitability and safety of a childminders settings – other than directly by Ofsted – who will be responsible – the government? the Minister? the agency? I think this is a very valid point – as the more people that are involved in vetting and checking – instead of directly by the lead body – in this case Ofsted – the greater the risk that mistakes will be made. We already have problems of consistency between the two companies inspecting on behalf of Ofsted – consider the situation when we have maybe hundreds of different agencies – all with their own models of practice, level of training and experience of childminding. The situation you describe is analogous to a safeguarding issue arising in a nursery involving a member of staff who was not present when the Ofsted inspection was taking place. Where there are safeguarding concerns, agencies will be required to share information with relevant authorities in the same way as Ofsted currently does. Agencies will also be inspected by Ofsted. Indeed, under the existing Ofsted inspection framework, a childminder might only receive a visit once every three or four year. Agencies will have much more contact with childminders – including regular home visits and additional contact time. Unless I have misunderstood the Ministers answer – I don’t think she has grasped the issue that Ruth wants an answer to. However with childminding agencies – the individual childminder may NEVER be inspected by Ofsted – and would be subject to checks by the agency staff member – or possibly more than one agency staff member at different times. This person or persons would be trained by the agency, would be following the agency criteria – and even if supposed to be based on Ofsted criteria you have personal interpretation to take into account – that of the agency, that of the person training the staff and that of the person or persons ‘checking the agency childminder. We already know that some agencies will be implementing set policies and procedures – and we already know these will not be setting specific – or drawn up by childminders or parents and therefor I personally have to question if childminders or parents will understand these corporate policies and procedures – and therefore understand them or fully implement them. If you had invested endless hours of your time at evenings and weekends, along with reinvesting a large portion of your earnings into your small business, would you be prepared to hand this over to an agency and pay them a fee? We have been clear from the outset that joining an agency will be optional. We do want to see both more independent childminders and more agency childminders as this will help increase the provision of childcare. That’s why the Government has made £2million available to help people who want to set up a nursery or a childminding business to help cover things like legal and insurance costs, health and safety training and adaptations to premises. Some childminders, especially those new to the profession, may want to join an agency to be part of a larger organisation rather than setting up their own business. Agencies will also provide support with invoicing, paperwork, marketing, training and legal services which will free up childminders to concentrate on providing high quality care for the children they look after. At the same time, we understand many childminders are content with the way they are working. Both options are equally valid. The Minister is right there is money to help with start up costs – and it sounds a huge amount – but per new childminder it does not cover the costs of the things mentioned by the Minister – and in fact if childminders register through a agency they will spend far more registering than they will get in a grant – and they will have to continue to have to pay the agency a fee during the time they are becoming established and potentially have not filled their spaces. This could mean childminders being out of pocket – not something to recommend becoming a childminder to anyone who wants to earn a living wage. Also, one of the key aims of childminding agencies, is to save the government money from having to carry out childminder inspections – if say 80% of current childminders chose to remain inspected by Ofsted – and as the Minister suggests new childminders opt to be registered and inspected by Ofsted – where is the cost saving to the government? I wonder if the Minister has looked at the costs that are starting to be quoted for the services that agencies plan to offer? Not very realistic – in terms of affordability on the income of the average registered childminder. If you were a parent looking for a Childminder would you honestly pay for an agency childminder who had not been inspected by Ofsted compared to no fee with an independent childminder who had? Such a valid point – an independent childminder inspected by Ofsted versus an agency childminder who has a different process for being checked. We anticipate some childminder agencies operating like nurseries – they will provide a local offer to parents based on their needs, and we think this will be popular with some parents. Agencies will be inspected by Ofsted and will be responsible for the childminders registered with them. As part of their inspection, Ofsted will also visit a number of the childminders registered with the agency. Under the existing inspection framework, a childminder might only receive a visit once every three or four years, whereas agencies will have much more contact with childminders, including regular home visits and contact time. Some childminder agencies will also provide extra training support for their childminders beyond what Ofsted offers, so will actually play a key role in quality assurance. With this in mind, I believe parents can be absolutely assured about the quality of childminders registered with agencies. The first bit about agencies operating like nurseries – sounds to me – like moving children around – as if they are packages – to suit operating convenience. It is true that childminders are not inspected very often by Ofsted – and that the situation is getting worse – some are more like five years since last inspection – but this is Ofsted’s doing – not the childminders – most childminders would welcome more frequent inspection – and certainly when there were childminding networks many wanted those additional checks and quality assurance measures through home visits, training and the support of the coordinator – but whilst still maintaining their individual Ofsted inspection and grade. The point that the Minister has failed to mention is that childminders will pay for these extra visits – there are not free – and what’s more details are emerging that suggest that new childminders and those with lower grades will be told they need to have more visits that established childminders with higher grades – and will pay for these extra visits. The costs of these visits will have to be budgeted for – and the most likely source of funding for agency fees – yes from parents by increasing the hourly rate. Whereas childminders can research things themselves, join online social media based support groups for free – and for a very modest annual fee join an organisation that supports childminders in a number of different ways. All childminders can also pay for other professionals to visit their setting for CPD purposes – as and when they want to . If ALL childminders remain registered and inspected directly by Ofsted in the future, the main objection to childminding agencies would be removed and childminding agencies would become a support service that those that wanted to could buy into. Please explain why ALL childminders can not remain registered and inspected directly by Ofsted? Any childminder who wishes to remain registered and inspected directly by Ofsted will be able to do so. We trust childminders to decide what is best for them. I have been polite up to now – as there was a chance that my understanding of other peoples questions was not correct – but in this case I fully understand the question as I wrote it, and the Minister has conveniently chosen not to answer it – I did not ask if there was choice – I asked why ALL childminders could not remain registered and inspected by Ofsted – and that included the ones joining a childminding agency. I had clearly put the question in context by saying if ALL childminders remain registered and inspected by Ofsted, the main objections to childminding agencies would be removed and childminding agencies would become support services for that wanted to pay for the services. Please explain why ALL childminders INCLUDING THOSE THAT WISH TO JOIN A CHILDMINDING AGENCY can not remain registered and inspected directly by Ofsted? The wording in the Children and Families Bill, once passed and made law of this country, could be easily used without any changes to make childminding agencies compulsory. Please can you confirm that childminding agencies will never become compulsory and will always remain voluntary? It is simply not true to say that agencies could be made compulsory without further legislation. The Children and Families Bill makes it clear that childminders have the option of registering either with Ofsted or an agency. We want to see an expansion in provision and support more childminders in bringing their services to the market. We certainly don’t want to close independent businesses down by making agencies compulsory. I am a big supporter of small businesses and the great work they do. Again the Minister avoids the actual question – and does not confirm that childminding agencies will never become compulsory – she has not even said that they will not become compulsory in the lifetime of this government. I have to ask why she avoided the question? What are the business plans for childminder agencies as there appear to be none? We do not want to dictate the business model for agencies. Just like a nursery, which operates to its own business plan while following due process with Ofsted to ensure they offer a safe and viable service, we would expect agencies to create their own business models. Our agency trials are now underway, and we expect to see a number of different and innovative models which work for childminders and they parents they work with. A range of organisations are taking part in the trials, including local authorities, schools, children centres, nursery providers and private companies. And herein lies the problem – a nursery or a childminder does set its own business model – and it works because just one business – the nursery (even if a chain owned by same company) – or a individual childminder. A agency will have a business model – but within the agency there will be 10, 20, 30 (who knows) separate individual businesses – all operating in different family homes, with different ethos, values and principles, all with different requirements for income, all with different levels of resources and space, all with different constraints in terms of family members and pets ( and their needs), all with different levels of knowledge, qualifications and experience – how can the Minister compare this to a nursery or even a nursery chain? So a golden opportunity for the Early Years Minister to provide information – even reassurance, to those who are concerned about childminding agencies – but in my opinion the opportunity has been wasted, as the Minister has not answered the very valid questions, or provided any new information, and again in my opinion – no reassurance. In fact I have been left feeling that the Minister really does not have any intention of listening to childminders concerns or in addressing those concerns through providing information or fine detail. I will of course keep trying to engage in professional debate and discussion with the government about childminding agencies – as I am sure my colleagues who send in the other questions will, as we can not give up on our efforts to ensure that childminders remain registered and inspected by Ofsted – and childminding agencies become a support service that childminders may chose to pay to access support services from. Adult ‘I have told you it is a cylinder – and it fits in this circle hole – see’ (as the adult posts the cylinder shape into the circle hole). And maybe – our Minister should reflect on this and realise if childminders are to understand what she has in mind with childminding agencies and how they will work, she should give more detail / information – and maybe she should also realise that like the two year olds in the above scenario – she should consider that childminders know more about childminding than she does and have a much better idea of what it possible – and that just like a two year old with a shape sorter – each childminder will do things in their own unique way and understand why they want to do it this way through their own experiences and not through being told a few brief details, and expected to a) believe that what they are being told is the best way or b) it is the only way to do it. Working in partnership, adapting ideas, listening to others suggestions, learning from others experiences – and understanding that no one likes to be told what to do and how to do it – and no one likes it if they are not listened to and accepted as knowledgeable in their own areas of expertise. Two year olds are likely to throw themselves on the floor and kick and scream if they are not listened to and valued as a person in their own right – and at times I have to admit the frustration at not being listened to, not respected as a knowledgeable person in my own area of expertise – there are times when I feel that throwing myself on the floor and kicking and screaming would not only get me noticed but might make me feel better as my frustrations would be expressed. Needless to say – I shall continue to find professional ways to express my professional opinion and to try and get those in government to listen and to answer the valid questions that I and my colleagues have. I am sure some of you are following the updates about the progress of the Children and Families Bill – and get the updates straight to your inbox. Some times the updates are very short and some times they are very long – as was the case with the one that entered inboxes today – it was long, very long – and I admit at first I didn’t spot it – spot what? you might be asking – the amendment to be moved to Grand Committee – about Childminding Agencies. So there we are then – the hope that we have all been waiting for – that childminders who join an agency will still have to be registered and inspected by Ofsted. I must make it very clear that this is just a proposed change to the wording – and so we must not relax and think the campaign has been won – because it hasn’t and this change to wording may be rejected and thrown out. Therefore we must thank Baroness Hughes and Baroness Jones for putting forward this proposed change – AND we must make sure we let the other Peers know why it is important – and why they must support this change to the wording. It is only a few lines, less than 40 words – but these few words will ensure that all childminders remain registered and inspected by Ofsted – just like all other early years settings. Childminding agencies will then just be an alternative method of support, advice and training that childminders (and parents) may buy into if they want to – and speaking personally – I don’t have any issue with that at all. Please write to as many Peers as you can – by post, by email – so that are made aware that we want their support to ensure these changes to the wording in the Children and Families Bill are accepted and made part of the final Bill.